Your immune system is fighting hard to protect you and from personal experience I agree with Dr Tom, an internationally recognised speaker, author and expert on chronic disease and metabolic disorders. 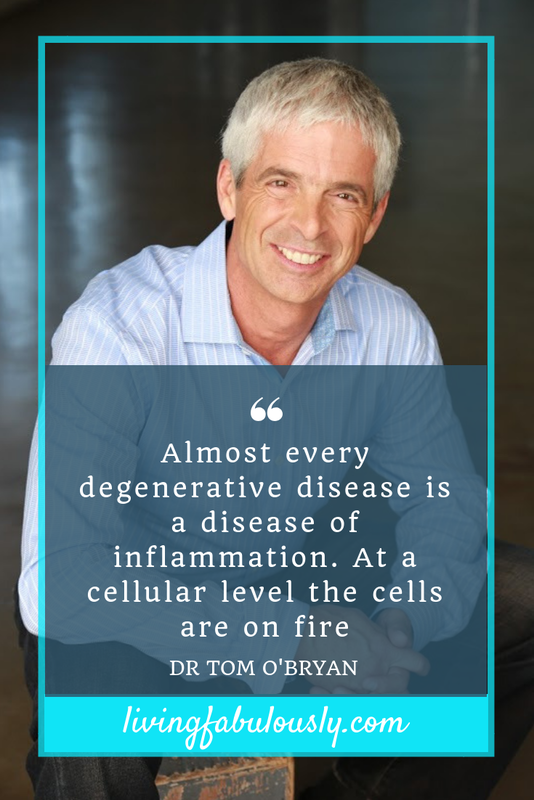 Dr Tom shares that while we think the symptoms of a disease is the problem, it’s the activation of the autoimmune system trying to protect you from inflammation that is the cause. A reality check is that wheat sensitivity is a primary contributor to many autoimmune mechanisms so knowing your triggers is key. Dr Tom's goal is to teach people to give them the information that they can use to protect their and their family’s brains. Take heart and know that the things you can do to protect your brain, protect your entire body. Inspire yourself with these essential insights from Dr Tom O'Bryan, author of You can fix your Brain. Your immune system is fighting hard to protect you and from personal experience I agree with Dr Tom, an internationally recognised speaker, writer and expert on chronic disease and metabolic disorders. While we may have an entirely new body every 7 years, Dr Tom shares that there is an autoimmune spectrum and many of are unaware of where we are on the spectrum and what antibodies are elevated right now. A reality check is that by the time your brain is not functioning very well there's a whole checklist of things that are going on. Dr Tom's goal is to teach people to give them the information that they can take back to their Doctors and have others continue his work into the future. Take heart and know that you can turn autoimmune issues around step by step.